The HARD Day of the Dead 2014 lineup has officially been announced — not even four weeks after HARD Summer 2014. With almost no time to recuperate, folks around the country are already getting geared up and ready to go for another HARD Presents… event. As with any lineup announcement, this year’s DOTD is full of surprises. One of the biggest surprise with this lineup is the b2b set with Deadmau5 and Eric Prydz. Although the two first made history earlier this year in Miami with a b2b set at a Miami Music Week club show, the two have yet to perform together in such a huge setting. Another unexpected treat for this year’s DOTD is the return of Knife Party. As far as HARD events goes, we haven’t seen these two since the very first Day of the Dead (after the name was changed from Hard Haunted Mansion). 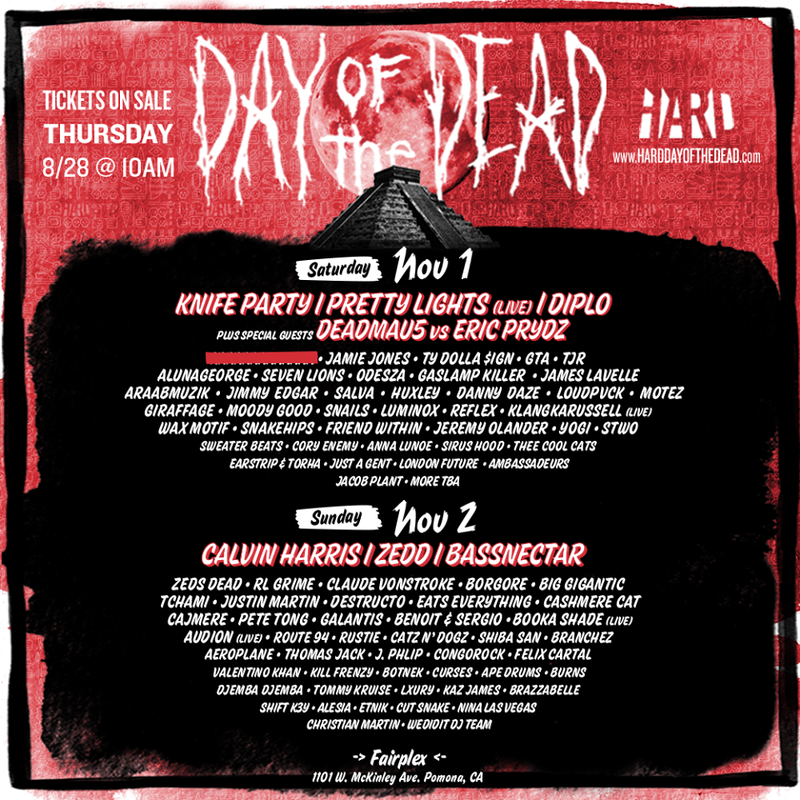 With multiple “leaks” from their upcoming album, Knife Party’s return to the DOTD stage is going to be one for the books. One of the biggest surprises for Day of the Dead 2014 is the change in venue. As HARD continues to grow with every year, it requires a bigger venue in order to contain the thousands upon thousands of Los Angeles party-goers. 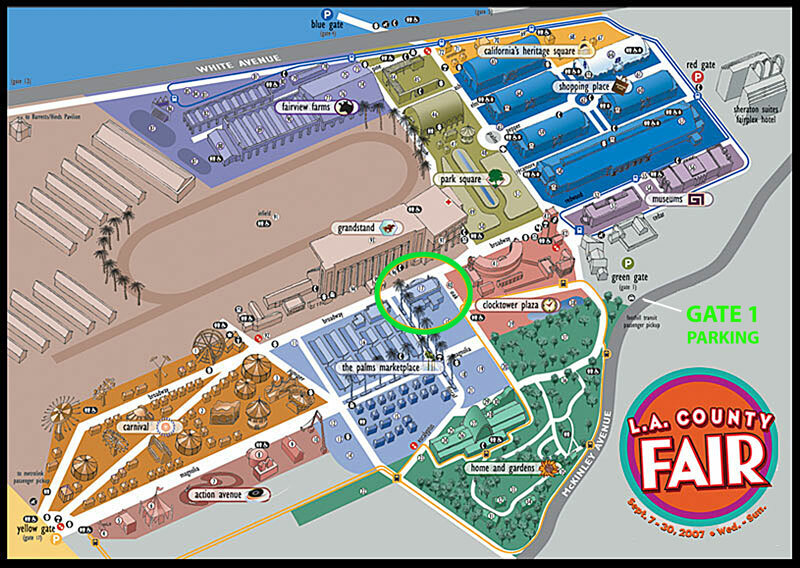 This year’s DOTD will actually be moving away from the Los Angeles area into Ponoma area where the Los Angeles Fair Grounds (Fairplex) are held. Whether or not this was a last-minute change because of complaints from Whittier Park or if this was something Gary Richards had in mind all along, it seems as though the venue will be large enough to hold this year’s HARD goers and then some. Tickets for HARD Day of the Dead 2014 are now on sale! Click here to purchase your DOTD 2014 ticket!